When Jesus Says Yes!, nobody can say no! 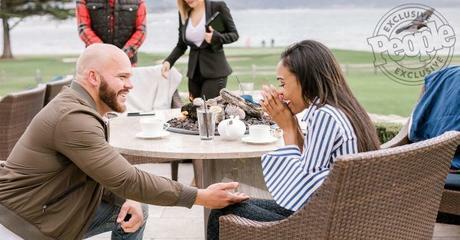 Michelle Williams is engaged to BF and Pastor Chad Johnson!!!! The Destiny’s Child singer revealed exclusively to PEOPLE that after a year of dating, she is engaged to boyfriend Chad Johnson. After meeting at a spiritual retreat in March of 2017, Williams, 37, and Johnson, 40, kept in touch, building a strong relationship through conversations on Instagram, over text message and via FaceTime calls. They took their whirlwind romance public in July; on March 21, Johnson popped the question with a stunning 5-carat engagement ring; and the happy couple plan to wed this summer. We reported on the couples relationship back in the summer, Johnson is the Chaplain for the Pittsburgh Steelers and L.A. Dodgers organizations. Johnson found a passion for Scripture as a teenager when, at age 17, he attended a Fellowship of Christian Athletes Camp. He went on to earn a Bachelor’s Degree in Christian Ministries from Arizona Christian University in Phoenix. Congratulations Michelle and Chad…. We always knew she would marry a Pastor, it’s in her DNA!